Jenkinson – ? – Mr Mills(Head Master) – Tony Bowles – Vinall ? Were you in this team? Maybe you can recognise one of your old classmates? If you have any memories of the boxing team to share, please leave a comment below. Apologies for the quality of the photograph, but the faces are very clear and if you click on the photo, it will open a large version in another window. Hello Tracey, my brother Billy (named as Crump) on the left was one of his mates. Billy Crump was my best friend at school, I knew all of these kids. It was me that got Brian Vinall to have a crew cut. We were in class 2A and we both had them. Hi Tracey, I recognised Brian Vinyl straight away, also John West. I was in the Queens Park boxing team but I am a year younger than Brian. I have a photograph of myself, my classmate Tracey Andrew, Brian Vinyl and Brian Goble posing together on Plymouth Hoe I believe when we had all reached the semi-final of the all England Schoolboy Boxing Championship’s. I expect it was a first. Four boys all from the same town getting that far in the competition. 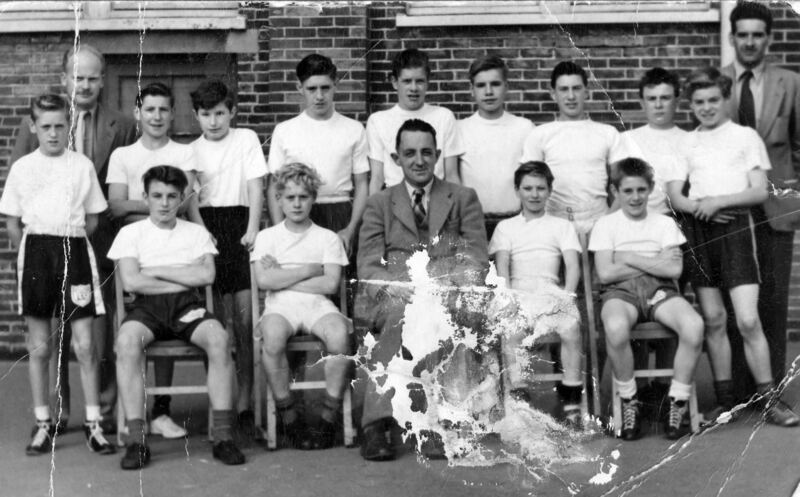 I also have a couple of group pictures from them we went on the first schoolboy boxing tour to Cardiff, Preston and Liverpool. My Grandfather, Ronnie Homewood, Boxed for Queens Park and won the 1948 Schoolboy Championships of Great Britain, winning the final at Leeds Town Hall in March 1948. If anyone has any information about his boxing career or even a photo please could you email me? we only have the certificates of his tournament wins.